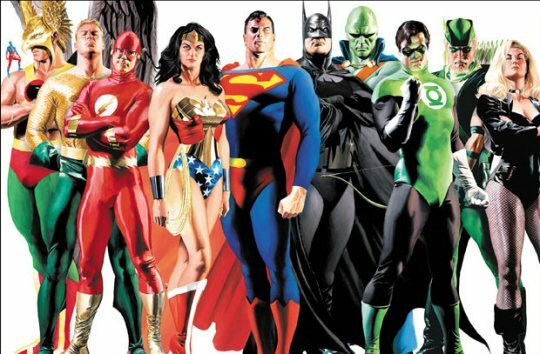 If you haven't heard, the plans are to have a Justice League movie out in 2013. At first, I got excited, then I started hearing the other news. First, Batman will be rebooted after The Dark Knight Rises. OK, Bale and Nolan only signed to do three and they did that. I hate that we'll get another restart - but it's not the end of the world. Then I hear, that the rebooted Superman and Batman will be independent of the JL movie. They also said that the Flash movie AND Wonder Woman movie will come out after the JL movie. It was also revealed that the Wonder Woman TV series actress, Adrianne Palicki, will not be involved. So...we'll have two different actors for Superman, Batman, Wonder Woman AND maybe Green Lantern - we don't know if Ryan Reynolds will be involved. Geez. I guess DC/Warner Brothers looked at what's going on with the Iron/Man/Thor/Captain America/Avengers movies and said "that's a great model to follow. Let's do that and mess it up." Quite honestly, I don't know if THEY know what's going on. There was scuttlebutt of a Clark Kent appearance in Green Lantern, but was shot down.